– Limit the guest list! All too often, we find ourselves inviting to birthday parties family members whom we generally don’t see very often. Even though it may be uncomfortable for you not to invite them, think about how overwhelmed your child may feel if there are several people around whom he or she may not know. If you feel the need to invite all of your family and friends, then split the party up into a couple of different occasions. By limiting the number of guests, you can help to reduce the anxiety and fear of uncertainty that your child may be facing. – Keep it simple! When we begin to plan a child’s birthday, it is easy for us to get carried away with the games, food, treat bags, gifts, and many other things that go into having a birthday party. All of these things are wonderful; but for children who have a difficult time processing information effectively, these elements of a birthday party can be overwhelming. By simplifying things and keeping the party elements to a minimum, you can help to reduce your child’s anxiety and allow him or her to enjoy the party more thoroughly. – Be selective when choosing a party time. As you think about when to hold your party, keep in mind your child’s best time(s) of the day. 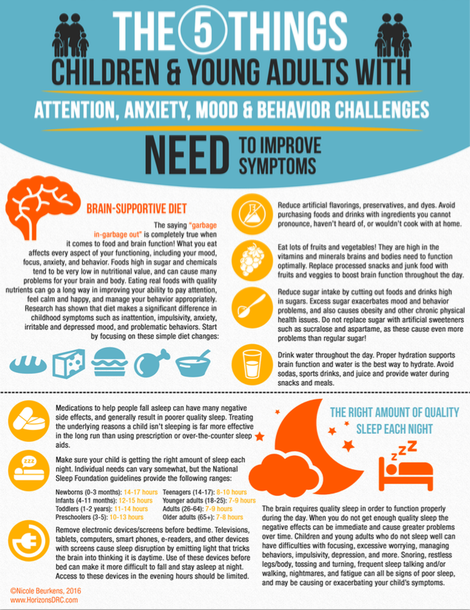 Most children are more refreshed, relaxed, and less anxious overall in the morning after a good night’s rest. We don’t hear about parties being held in the morning that often; but for many children with special needs, this is their best time of the day. If you are going to have the party on a week night, then be sure to hold it after the dinner hour. This provides the child with an opportunity for some down time in between school and the party, and it allows them to have a healthy dinner to re-charge their batteries. – Decorate with the minimalist perspective. Balloons, streamers, tissue paper, and many other fun decorations are often used for parties. These types of decorations are not a problem for most individuals, but children with disabilities can become overwhelmed very easily. When having a party, there are already many factors that will contribute to his or her feelings of anxiety, especially changes to the environment. Keeping decorations to a minimum will help reduce the overwhelming feeling and anxiety that many children feel at parties. Celebrating your child’s special day can be a fun and anxiety-free experience. By keeping the environment calm and using a minimalist perspective, you may find that you and your child both can enjoy the occasion. Happy birthday party planning to you!